Prolotherapy treatment is used to heal and strengthen ligaments and tendons and is administered by Dr. J. Keller Wortham and Dr. Stephen A. Brunton at their office in Glendale CA. Dr. Shields, who trained both Dr. Wortham and Dr. Burton in Prolotherapy, first received training in Prolotherapy from Dr. William Faber, Founder and Director of the Milwaukee Pain Clinic. She also completed the first Gustav Hemwall seminar in Prolotherapy given by the late Dr. Hemwall, who was the world's most experienced Prolotherapy doctor. Prolotherapy, which was developed over fifty years ago, is a natural non-surgical method of assisting the body to heal injured tendons and ligaments. 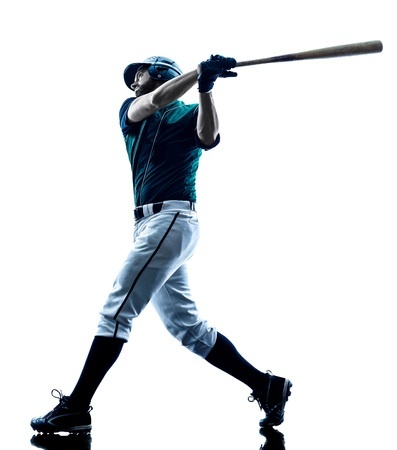 Prolotherapy has been used by patients and athletes who need help restoring their bodies. You might wonder why you still have pain in an injured area or why that area remains weak, even after a healing period of weeks or months. The answer lies in the fact that both ligaments and tendons have very poor circulation, and it is this lack of blood supply which deprives them of the nutrients they need to heal properly. These weakened areas may have little or no blood flow, but they have lots of nerves. When ligaments become relaxed and weak, these nerves within and around the ligaments and tendons become stretched and irritated. Pain results. How can you strengthen tendons and ligaments? Unfortunately these tissues are not muscle, so they do not respond to exercise as muscles do. Exercise cannot build or strengthen ligaments or tendons, but Prolotherapy can help repair the weakened ligaments and tendons of a chronic injury. Or if you simply want to strengthen certain areas of your body to prevent injury, Prolotherapy can help you, too. Prolotherapy has been scientifically observed to increase the size of tendons and ligaments up to 40%. It has also been shown to increase their tensile strength by as much as 200%. No scar tissue is formed (as would be the case in surgical procedures). The tissue formed from Prolotherapy is healthy, strong, flexible ligament or tendon tissue. Once the ligament or tendon has been repaired by Prolotherapy, the nerves are no longer stretched or irritated, and the pain goes away. Prolotherapy patients typically experience a number of benefits. No scar tissue is formed. Patients usually are able to immediately return to their daily activities with few or no side effects. Each person's response to Prolotherapy is different. The average number of treatments needed ranges from one to six. Some people need only one treatment, while others may require as many as ten or twenty. It depends on the individual case. Dr. Wortham and Dr. Brunton look forward to helping more people discover the benefits of Prolotherapy. Painful conditions routinely addressed with Prolotherapy include arthritis, back pain, headaches, migraines, degenerated discs, herniated discs, torn cartilage, sports injuries, fibromyalgia, tennis elbow, knee injuries, low back pain, whiplash, RSD pain, TMJ, heel spurs, plantar fascilitis, rotator cuff injuries, frozen shoulder, and sciatica. Servicing Burbank, Glendale CA, Pasadena CA, Sherman Oaks, Hollywood, Altadena, Encino, La Crescenta, La Canada, Montrose, Monterey Hills, Silver Lake, Echo Park, Atwater, Beverly Hills, Thousand Oaks, Eagle Rock, Los Angeles, Highland Park, Echo Park, and Monterey Park.